Who are you? Does Siri know? If Siri is able to answer both questions, not further action is needed. All of these commands would require that Siri knows who you are. But how does Siri know who you are? There is a two step process to tell Siri who are you are. The Step-by-Step instructions are below. 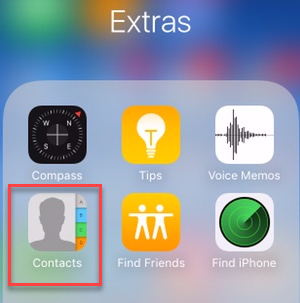 Launch the Contacts app often found in the Extras folder on the home screen. Tap the + (plus) sign on the upper right of the Contacts screen to add yourself as a contact. On the empty contact screen you will find empty fields where you enter your contact information. 1 Enter First name, Last Name into their separate fields. 2 Tap + next to add phone and enter your mobile phone. 3 Tap + next to add email and enter your email address. 5 Tap Done in the upper right corner when completed. You will now tell Siri who you are in the Settings app. This is accomplished by “pointing” at the contact record that you have created for yourself. Tap My Information (if your name isn’t already displayed. If your name is displayed, no further action is required. Select your name from your contacts. If the setup was successful, Siri should be able to tell you your name and address when questioned. This worked well for me. I have never used Seri on any device before. Recipe #012 Getting to Know Siri has a pretty comprehensive list of commands. Give it a try.